Built in 1895, this sprawling stone stronghold was once an artillery fort. The surrounding park is family-friendly offering hiking trails, fishing, boating, and scuba diving. The site of the fort is of historical significance providing colonists with a way to defend themselves before the Revolution. At one point the British had occupied the area. Thereafter it became an important location for coastal defenses due to its prime location. 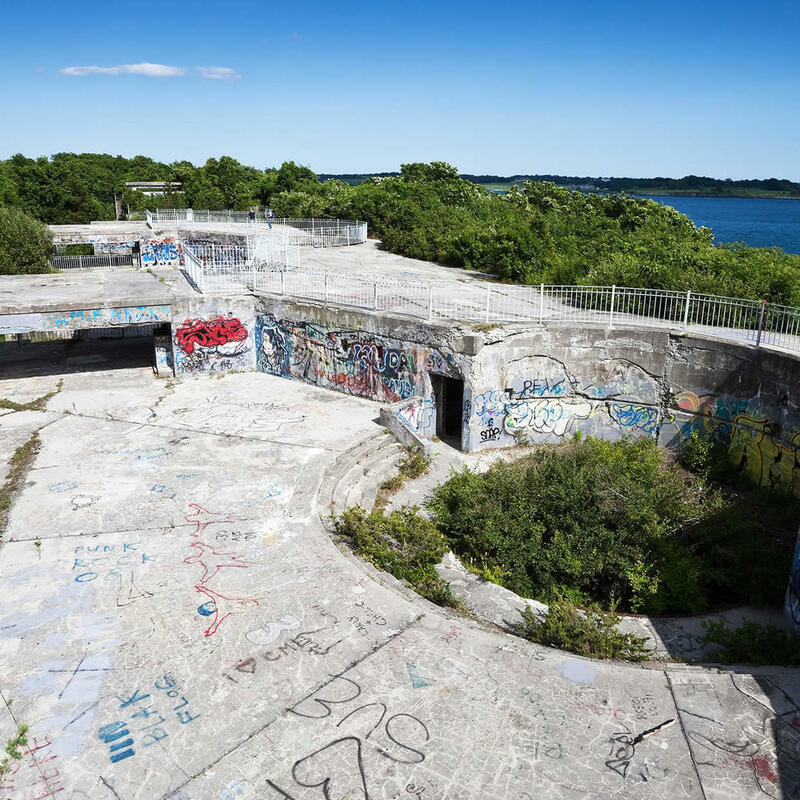 After WWII the fort was a temporary home to German POWs before they were sent back home.